Because of the popularity of the Wishes Fireworks Dessert Party at Magic Kingdom Park, Disney is expanding the experience starting April 19 so that more Guests will be able to enjoy it. Same-day reservations will be available. Disney – All Guests attending the fireworks dessert party will enjoy a variety of themed desserts at the Tomorrowland Terrace Restaurant as they do today. Then, Guests with same-day reservations move to the Plaza Garden (Former Fastpass+) area for the fireworks show, while Guests who have booked in advance will view the fireworks from the Tomorrowland Terrace Restaurant. Pricing is $59 for adults and $35 for children, tax inclusive. Reservations for the Tomorrowland Terrace viewing location can be made in advance by visiting DisneyWorld.com/dine, or calling 407-WDW-DINE. Same-day reservations are available at the Tomorrowland Terrace podium starting at 10:30am each day. Why is the Plaza Garden area being added to the Wishes Fireworks Dessert Party experience? Because of the popularity of the Wishes Fireworks Dessert Party at Magic Kingdom Park, we are expanding the experience starting April 19 so that more Guests will be able to enjoy it. Will desserts be available in the Plaza Garden area? No. All Guests attending the fireworks dessert party will enjoy a variety of themed desserts at the Tomorrowland Terrace Restaurant as they do today. Then, Guests with same-day reservations move to the Plaza Garden area for the fireworks show, while Guests who have booked in advance will view the fireworks from the Tomorrowland Terrace Restaurant. Is there seating in the Plaza Garden area? I already have reservations for the Tomorrowland Terrace viewing area, but I would prefer to view the fireworks from the Plaza Garden area. Can I do that? Yes. Space permitting, Guests who have already booked reservations for the Tomorrowland Terrace may opt to view the fireworks from the Plaza Garden area. How can I book reservations for the Wishes Fireworks Dessert Party with fireworks viewing in the Plaza Garden area? Same-day reservations are available by visiting the Tomorrowland Terrace podium starting at 10:30am each day. Get all the latest Disney news and planning advice in your inbox! I have wanted to do this for a while but couldn’t get reservations. This is a nice idea but i’m afraid my kids would get lost in the crowds and a poor view. Which defeats the whole purpose of why I wanted reservations in the 1st place. Can you use your table service dining credit for this? Thanks. Call Guest Services to confirm the reservation. When we went there was a table for us with a nameplate. I can’t imagine first-come-first served. It’s fine. There are dozens of desserts, perfectly proportioned for sampling. Hot chocolate, coffee and other drinks. It is fun and special. Yes, it gets booked to the limit each time, so there will be elbows touching in line and going to and from the dessert table at first, but once everyone has been seated it’s a little more manageable and less claustrophobic. It is pricey, but remember, it’s probably something you will do only once. It’s like anything else, it is what you make it. If you look for things not to like, you will find them. If you go in with an open mind it can be magical! I think everyone should try it once. After that you will have an idea about whether or not it is something for you. Everybody is different. It was a fun splurge for me and my family of 7, and I’m glad we did it, but with so many other good options out there, once was enough for us. Reasonable suggestion. We did it once for Wishes during Christmas time a year or two back, and then after for Illuminations on Christmas Eve. Pricey for what it is, but it can be something special for you and your family to try. Thanks for expanding because of the popularity. What a spin move. The FPP for Wishes was very popular as well and that was not expanded. No, it was killed in order to expand the $29, no $49, no $59 “party”. The up sell occuring the past few weeks is a joke. I don’t have an issue with them offering premium experiences, but when they come at the expense of a previously included experience, this time wishes FPP, in order to charge for it, many take issue. Gate prices are higher and staffing is down with much longer lines at some attractions early as they operate at half capacity, which translate to longer lines most of the morning. Maintenance and service levels have been reduced. Given the dismal state of HS, no way this park should have a $100 gate fee. And very quietly the expansions, TS & SW lands, are being scaled back. It is sad, but for a lot of folks the “magic” is diminishing. I hope they aren’t scaling back Toy Story. I was really looking forward to that, considering they are trying to turn the whole park into star wars! Having a spirited discussion about this on another Disney board, especially as it relates to the new “Extra Magic” evening and morning events. Some say, hey, it’s Disney’s prerogative, what’s the harm? while others of us see it as a sign of EMH for on-property resort guests being eventually phased out completely. The experiences are great, no argument, but as we see more of the things that used to be included being spun off into separately ticketed events, that is where others take exception. Kenny: Did not mean to suggest Wishes Dessert Party would be impacting EMH; sorry for the confusion. That’s just ridiculous to pay for an okay view and some desserts. Just listen to Kenny, get a good spot, and go buy you dessert to eat while watching the fireworks! I watched the fireworks from the carousel of progress and it was awesome. Then later we watched the castle show from Tomorrowland terrace because there was no dessert party at that time. It was amazing! We weren’t actually inside the restaurant but right outside it right across the bridge. Well, the greedy found a way to charge for a FP…what a crock! I stopped doing the dessert party after the price increase so I’m not worried about the crowding at the terrace. I am upset about the loss of the amazing hub grass area for the “non-shelling out big bucks” guests like me. I hear you, Becky, and who knows the full reasoning behind it. Perhaps also, in addition to the separate ticketing of the dessert party, it was an issue of too little space — I imagine you must have had to camp out there a really long time before the fireworks started? So, am I understanding correctly, they will be putting everyone at Tomorrowland Terrace for the dessert part? Won’t that make it pretty crowded? I was thinking of doing this for our next trip, but if it will be a mad house during the dessert portion I may not. this is BS!!!!! How are they going to fit all these people on the terrace. It was already packed with just the people from the normal terrace dessert party. I already had this booked for my daughter’s birthday but now I’m rethinking it. I’m all for having something on the hub but don’t infringe on the dessert party already taking place. I have done this before and it is really nice to see that they kept the prices down, but are they the same price regardless of which location? I’d love to do this…. 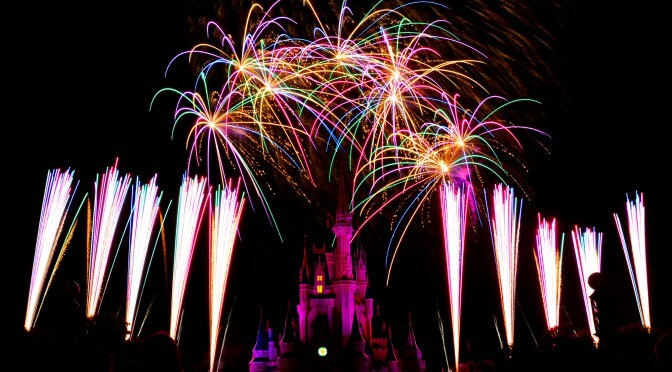 It’s so hard to find a good spot to see the fireworks & this would be ideal.